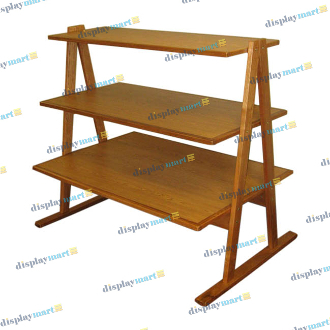 If you are short on space, and need a place to display your product or folded garments, then this DisplayMart.com display table is for you. Its A-frame, three tier design provides an adequate amount of easily accessible display space. The ash veneer finish on the tops of the tiers completes the look making this table a great addition to any retail store.